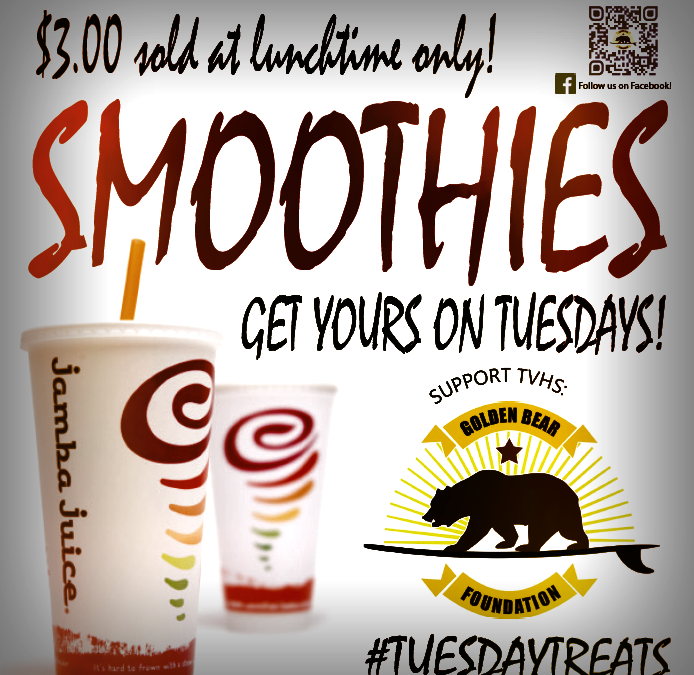 The Golden Bear Foundation is pleased to host Jamba Juice on selected Tuesdays throughout the school year for #TuesdayTreats. A portion of the proceeds goes back to us, enabling us to provide Dollars for Scholars and other benefits to TVHS. Thank you for your support and enjoy a tasty treat!